More and more Americans are shifting to a greener lifestyle, and if you’re one of them, you’re always looking for ways to reduce your impact on the environment. Cutting your energy usage is a big part of that, and the benefits of doing so are twofold: First, of course, is being more environmentally friendly, and second, is the added bonus of lower monthly energy bills. Consider this: The average American household spends $1,300 on energy expenses each year. 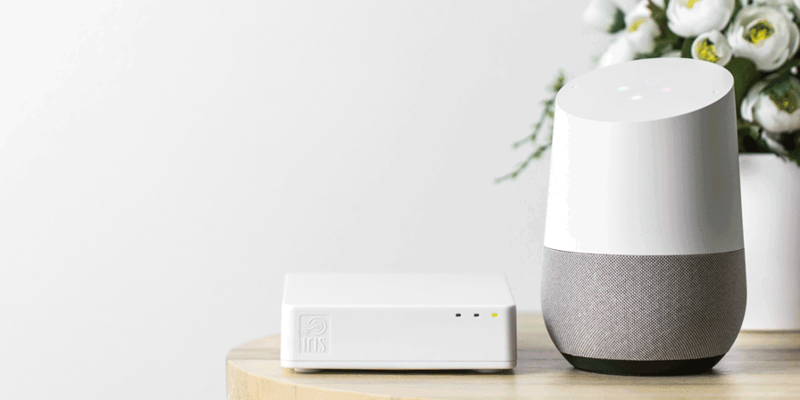 Installing a smart home system like Iris or Google Home Mini can help you reduce those costs by putting you in total control of the connected devices in your home and making your home more energy efficient. Control your home’s temperature from anywhere. Installing a smart thermostat connected to your home automation system can help reduce your energy costs by 15-30 percent each year. Smart thermostats allow you to program your thermostat based on your daily routine so you can conserve more energy when you aren’t at home. This way you’re not wasting additional energy heating or cooling an empty space. Water effectively. Unnecessary watering can waste more than 6,000 gallons of water per month. Installing a smart irrigation system can help you avoid unnecessary watering by automating the watering of your lawn based on weather conditions. You can make final adjustments as the season goes on to ensure your lawn stays fresh and your water usage is manageable. Dim your lights. Accidentally leaving the lights on in a room you’re not using is obviously a waste of energy. At the same time, you may also be wasting energy simply by using more brightness than you need. Most people don’t need their lights to be on at 100 percent. Installing a smart dimmer is easy and allows you to adjust your lights based on your needs and preferences. Once it’s installed, try setting your lights to 80 percent of their previous usage. You probably won’t notice the difference in the room, but you’ll certainly see it on your energy bill. From your appliances and your laptop to your smartphone, you use technology every single day to make your life easier. So, why not utilize it to live a more eco-friendly lifestyle?